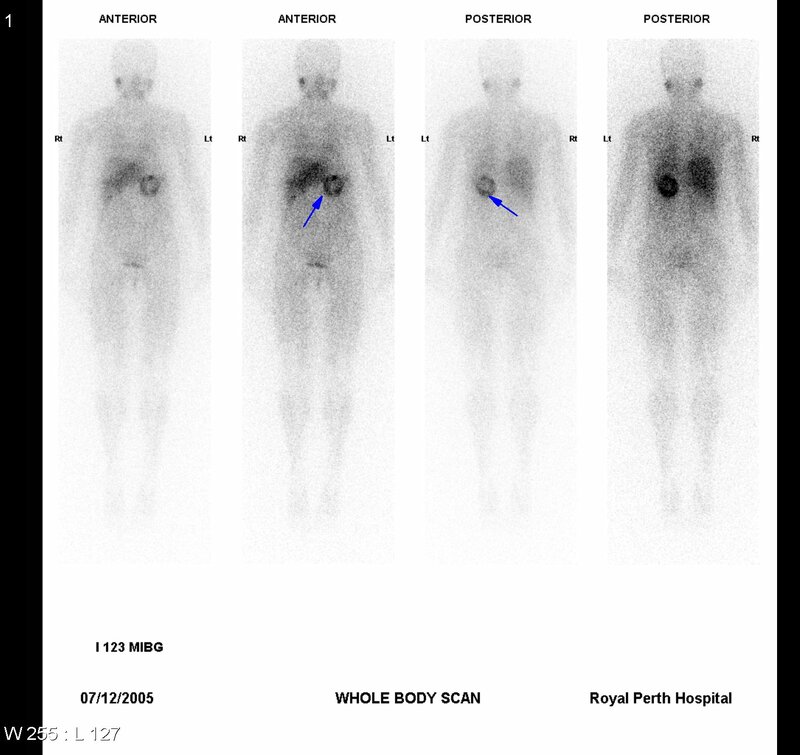 Image 1 (Computed Tomography): Round low attenuation lesion at upper pole of left kidney consistent with phaeochromocytoma (arrow). 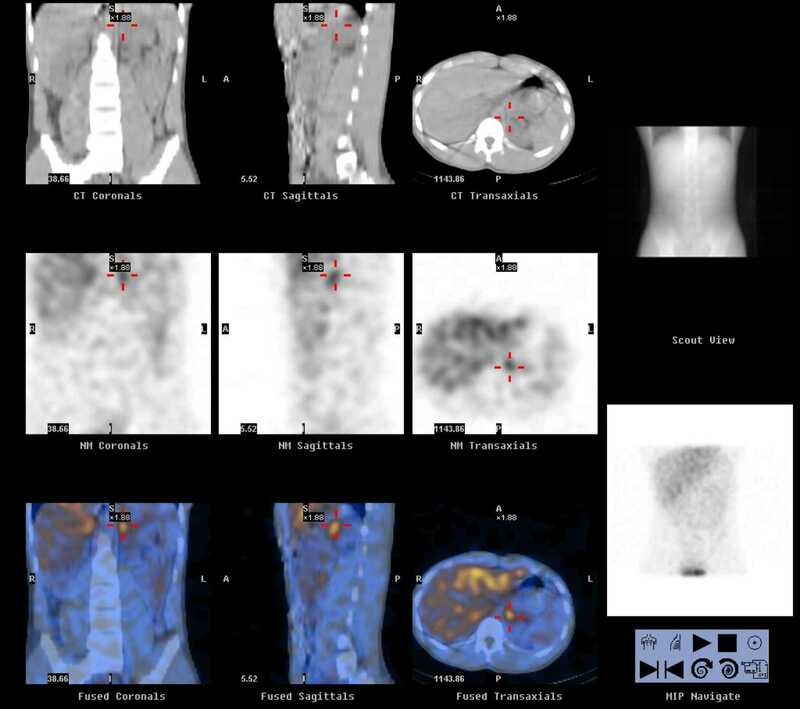 Image 2a (I123-MIBG) and 2b (Computed Tomography): High grade focus of uptake identified at the left side of the upper abdomen posteriorly (arrow). 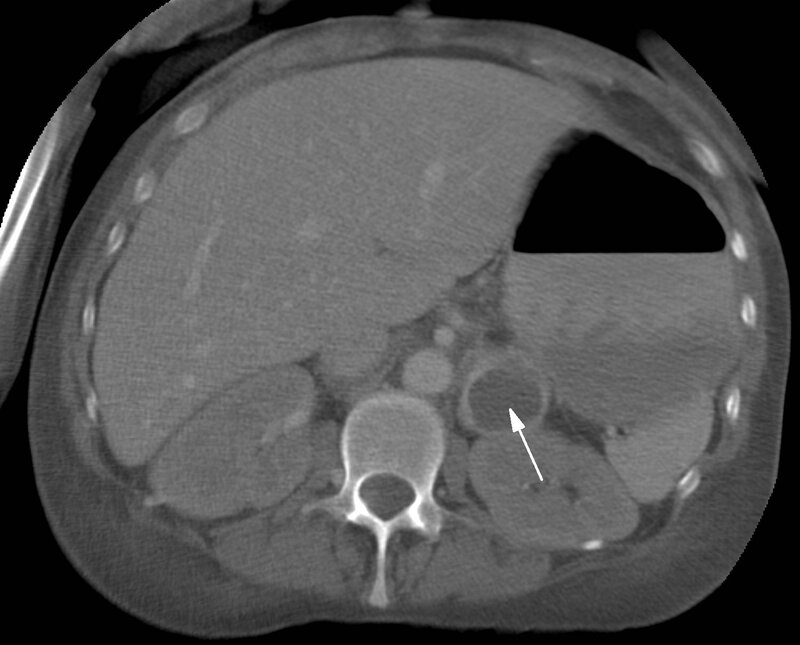 CT demonstrates a cystic phaeochromocytoma (arrow). 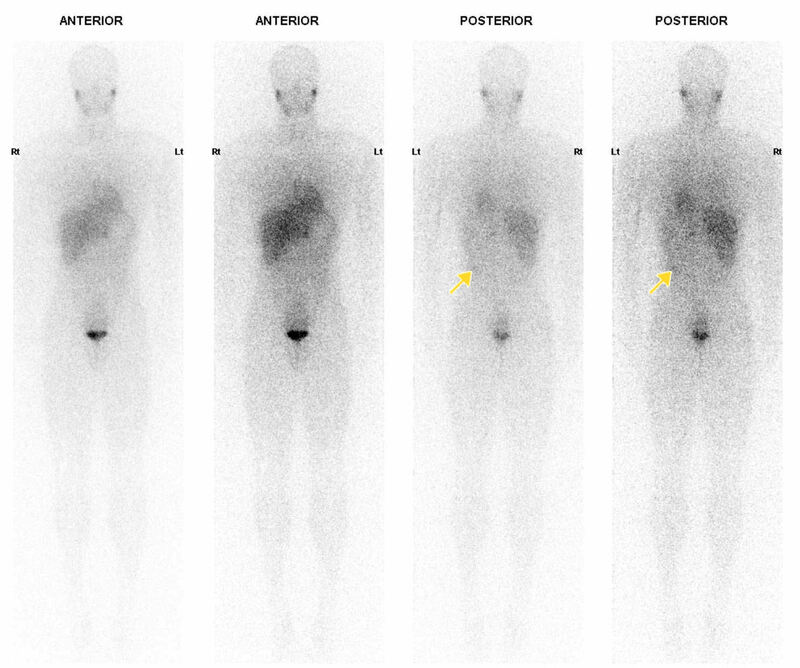 Image 3a (I123-MIBG) and 3b (SPECT): Low grade focus of uptake identified at the left side of the upper abdomen posteriorly (arrow). SPECT imaging confirms the focus of uptake at the upper pole of the left kidney, in the region of the left adrenal gland (arrow). 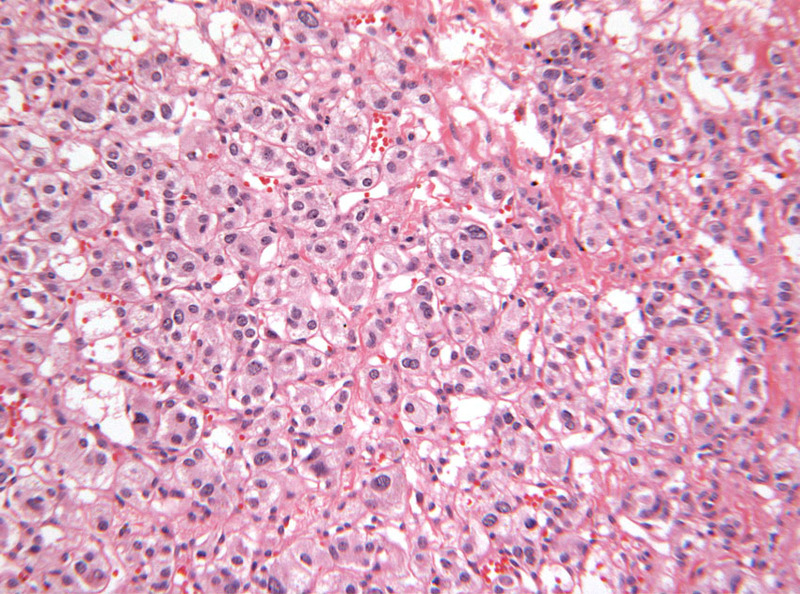 Image 4 (H&E, x10): Histological section of a phaechromocytoma showing a nested architecture (zellballen pattern) separated by thin fibrous septae. The cells demonstrate finely granular amphophilic cytoplasm.